Iowa legislators Dean Fisher, right, and Monica Kurth, second from right, and Rochelle Fuller from Sen. Chuck Grassley's staff listen to Michael Zahs discuss the film “Saving Brinton” and its connection to the Special Collections department of UI Libraries. The trio toured UI departments Nov. 8 as part of the Legislators in the Lab event. Photo by Tim Schoon. Legislators with Iowa ties received an up-close look at how UI researchers are helping to keep Iowa’s children safe, treat people who suffer from medication-resistant depression, and preserve valuable artifacts in the world of film. Dean Fisher and Monica Kurth, both members of the Iowa Legislature, and Rochelle Fuller, a staff member for U.S. Senator Chuck Grassley, were part of the annual Legislators in the Lab tour Nov. 8, organized by the University of Iowa Office of the Vice President for Research. The tour began in the UI Main Library in Special Collections, where Margaret Gamm, head of special collections and curator of rare books, and John Culshaw, Jack B. King University Librarian, showed the visiting legislators the library’s various film-related treasures. In honor of the UI’s new screenplay classes and growing influence on television and Hollywood, Gamm and Culshaw showed legislators a collection donated by UI alumnus Gene Wilder (BA, ’55), which included a first draft of the screenplay for Rebel Without a Cause, written by another UI alumnus, Stewart Stern (BA, ’43). 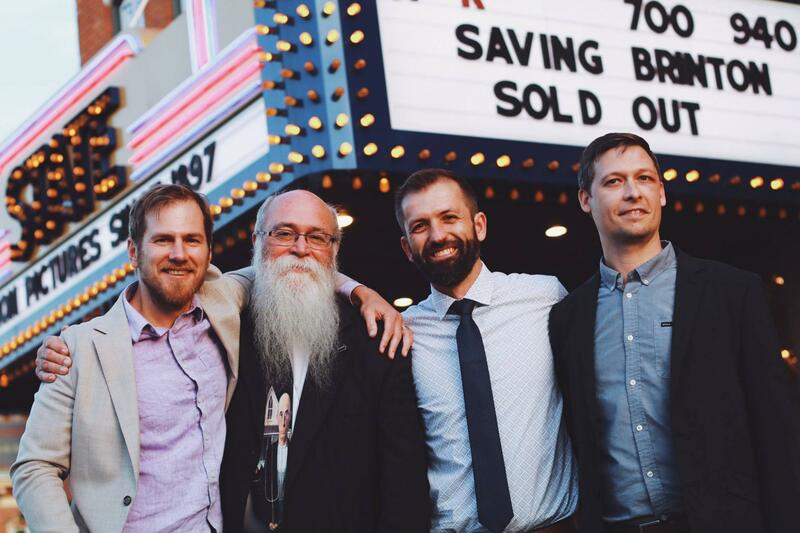 Legislators also received a brief presentation from the makers of Saving Brinton, a documentary film by UI alumni getting Oscar buzz. Two of the film’s makers, Tommy Haines (BA, ’05) and Michael Zahs, discussed the documentary and Iowa’s tremendous importance to early film. Zahs donated to the UI library a collection of artifacts from the earliest days of cinema, originally amassed by the Brintons, an Iowa family who ran a traveling cinema in the Midwest from 1985 to 1909. The Brintons were the first to show motion pictures to Midwest audiences, and, according to Zahs, their collection is the most significant one of early films in the world and contains unique artifacts and films that are the only of their kind remaining in existence. The tour moved on to the Pappajohn Biomedical Discovery Building, which houses some of the research being conducted under the recently formed Iowa Neuroscience Institute. The legislators received a presentation on exciting research into a new treatment for patients with medication-resistant depression. 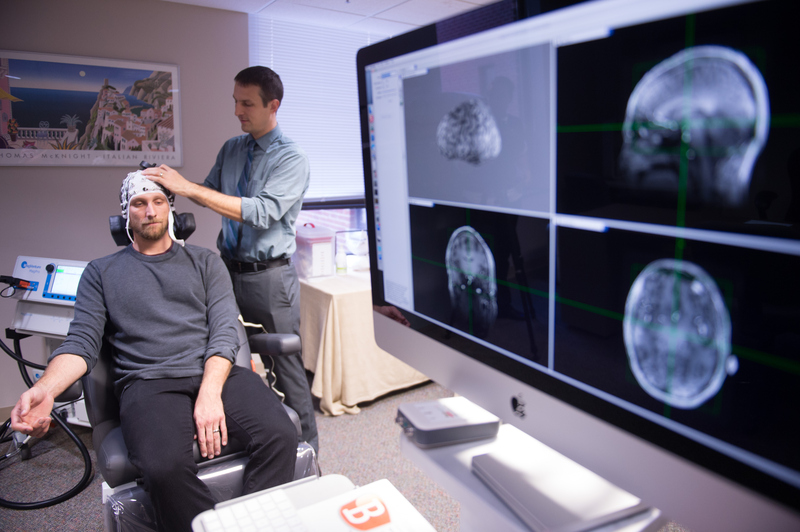 James Beeghly, clinical associate professor of psychiatry, and Aaron D. Boes, attending pediatric neurologist and assistant professor of neurology and pediatrics, demonstrated transcranial magnetic stimulation. In their study, patients wear a cap covered in magnets that can stimulate the brain and treat depression. More than half of test subjects have seen improvement. At lunch, legislators received brief presentations from undergraduate student researchers Joshua Larson, Maeve Bittle, Russel Martin, and Mariah Pride, and discussed the importance of undergraduate research in teaching students resilience and inquisitiveness. The tour ended at the Hank Virtual Environments Lab in MacLean Hall, where Jodie Plumert, professor and Starch Faculty Fellow in the Department of Psychological and Brain Sciences, and Joe Kearney, interim dean of the College of Liberal Arts and Sciences and professor in the Department of Computer Science, demonstrated their work on child safety, which has received national attention and was featured on Good Morning America. 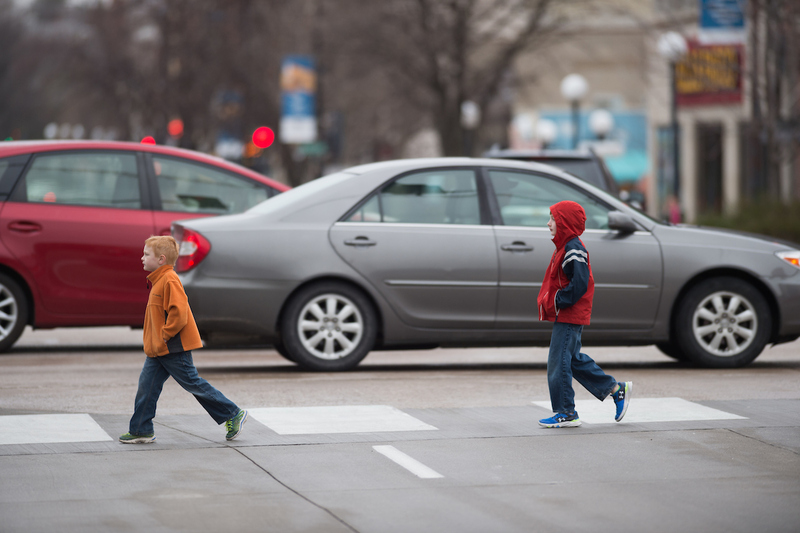 The virtual environments Plumert and Kearney can produce in the lab have yielded insights into why children struggle to cross busy streets safely, finding that a child’s perceptual judgment and motor skills are not fully developed until the age of 14. 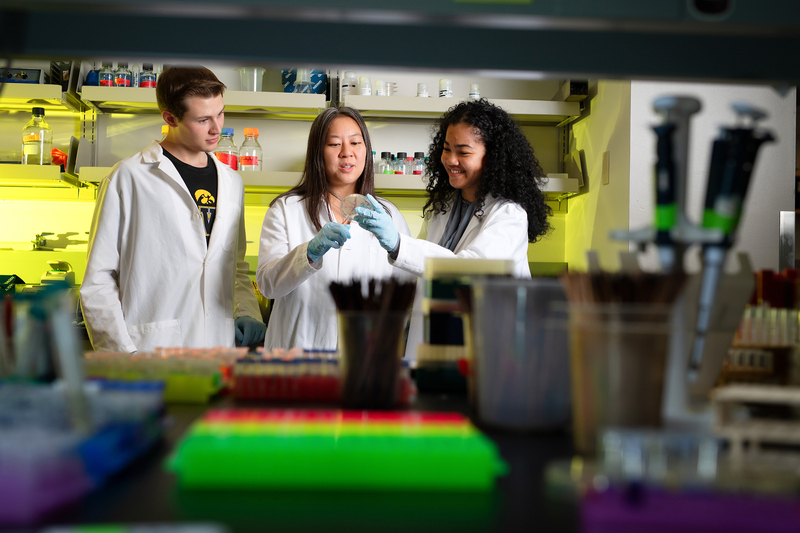 The Office of the Vice President for Research provides resources and support to researchers and scholars at the University of Iowa with the goal of forging new frontiers of discovery and innovation and promoting a culture of creativity that benefits the campus, the state, and the world. Read more at research.uiowa.edu.